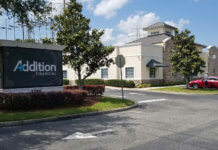 Mellissa Jagrup-Lee and Benjamin Conrow, founders of Alive and Well Corp, first met while working together for the Hillsborough County Department of Children’s Services. Mellissa and Benjamin worked with foster care youth and youth in the community through two programs: Residential Group Counseling (RGC) and Children in Need of Services, Families in Need of Services (CINS FINS) with a goal to provide therapeutic support, while assisting, and strengthening the youth and families throughout Hillsborough County. As most of the youth on the campus were in foster care, many had experienced stressful and, in some cases, traumatic situations that required advocates that would care for them and make sure they had the appropriate support. 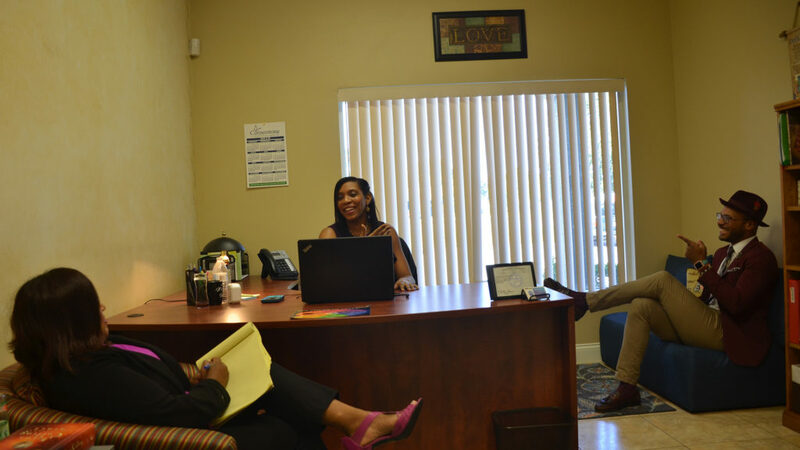 As their time, working with Hillsborough county, progressed, Mellissa and Benjamin started discussing the idea of having their own business… a wellness center. A place that would allow them the ability to escape the red-taped bureaucracies they had found themselves in and be true trailblazers in the field of holistic wellness. 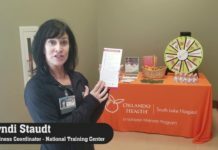 The two, young entrepreneurs, with about 30 years of clinical experience between them, both who have a foundation rooted in mental health can serve a multitude of individuals in the central Florida region. Mellissa, a Licensed Mental Health Therapist, who subscribes to Cognitive Behavioral Therapy and has experience working with children, teens, adults, couples and families, specializes in Anxiety, depression, PTSD, substance issues and domestic violence conditions. Benjamin, a master’s educated mental health professional and a Certified and Registered Yoga instructor – has clinical experience working with children & teens with emotional behavioral disorders, adults, the elder population, as well as Individuals with Intellectual and developmental disabilities. Due to the philosophy of yoga, being tantamount to the philosophy of psychology, Benjamin also serves children, teens, adults, elders, and EBD/IDD individuals with therapeutic yoga. This deep desire to assist others, manifested itself in the opening of a center that focused on wellness… Wellness of the mind, the body and the spirit… a holistic approach to the everyday person. The concept would then materialize itself as a center focusing on Mental Health Counseling (person centered), Yoga (body and breath), and massage therapy (effective therapeutic multifaceted pain relief). Even-though Mellissa and Benjamin are not licensed as massage therapists, they have reviewed extensive research and met with multiple experts in the field that show massage therapy fits in well to the holistic framework that Alive and Well is built upon. Massage therapy lowers one’s heart rate and blood pressure, relaxes the muscles, and can increase the production of endorphins, which is the body’s natural “feel good” chemical. These modalities of wellness are geared to assist with the dimensions of health and wellness a person strives to not only attain, but maintain throughout their life’s journey. Several subcortical skill sets (executive functioning, social perception, language processing, and cognitive flexibility) are at being affected when our internal and external environment have disharmony, a widened state of homeostasis. From the effects on these subcortical areas, one could see a number of impacts in their personal life become a focal point to: stress, trauma, conflict, depression, anxiety, and everything else that could present itself thought-out the body. Mellissa and Benjamin wanted a place that would allow all of these services to operate under one roof, along with developing an approach that could foster the continuity of care from one person to the next. For Mellissa and Benjamin, two business partners that truly embody the meaning of altruism, getting honest feedback from individuals, is a top priority. Alive and Well creates a safe place where people can come talk, be themselves, and receive judgement free interactions… no matter the issue, ailment, or self-perceived limitation. The ultimate goal is to assist an individual create their own toolbox of self-care remedies. Taking what they have learned about themselves through counseling, a yoga practice, or a massage session, and put that into their daily – day-to-day practice. This is what we call: Finding Your Medicine. Medicine: the practice of the diagnosis, treatment and prevention of something that is ailing you. This ailment could be a clinical diagnosis, a misguided perception of oneself (or the world), a fatigued body, a non-dexterous articulation of motor skills, you name it. Whatever it is that you feel is causing you to not see yourself in a positive way, we want to offer you a way of discovery… a place where you don’t leave empty-handed.